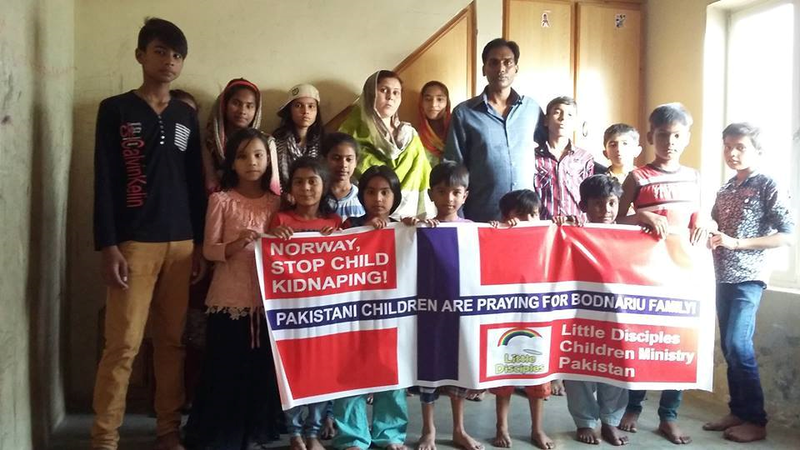 THE LITTLE DISCIPLES CHILDREN MINISTRY heard about the Bodnariu Story and protested the Norwegian disregard for Human Rights on April 16, 2016, the day of the worldwide global protest. This Christian ministry is located in Toba Tek Singh, which is located in Central Pakistan. This wonderful ministry shares the love of Jesus with those living in Toba Tek Singh! Thank you for your support Pakistan! That’s 7 of 72 cities covered starting in New Zealand and moving Westward across the globe. We may not get all 72 protest cities covered before the next worldwide protest, but we are not in a hurry. We’ll just continue in the country where we left off, traveling East to West, if/when the next protest takes place. A special thanks to o agnus dei – english + romanian blog which is Rodi’s English and Romanian Blog. It is where I found the story. This entry was posted on Thursday, May 26th, 2016 at 2:00 PM and is filed under Commentary, Education, LIFE, News. You can follow any responses to this entry through the RSS 2.0 feed. You can leave a response, or trackback from your own site.